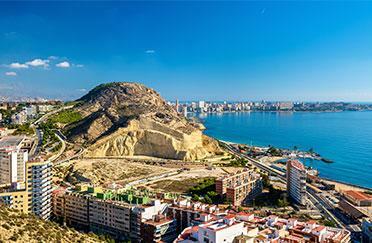 Plan your trip to Alicante with DWT and get the best Deals! Dream World Travel’s cheap flights to Alicante will let you explore the port city on Spain’s Southern Costa Blanca, Alicante. The beautiful and sandy shores, with crystal blue water of the Mediterranean, make Alicante the best choice for your summers and winters destination. Visit the Castle of Santa Barbara on the top of Mount Benacantil, one of the largest medieval fortresses of Spain is there. You can also enjoy an amazing view of town and harbour, walk through the narrow winding streets or if not than use an elevator in the core of Mount Benacantil. With cheap flights to Alicante, visit Castillo de San Fernando, a must see spot and a place to rest and leisure. You will find a number of other interesting attractions and monuments on the way up. You can enjoy cultural and traditional attractions on Costa Blanca along with the sunny location Lucentum which is known as the place of light by ancient Romans. Visit the archaeological Museum; in 2004 this museum won the European Museum of the Year Award. It houses eight galleries and allows visitors to interact with the lives of past residents of the region by using multimedia. Witness the sensational and astonishing views from the Hilltop Castillo or you can simply enjoy the sunbath at the beautiful beaches with waterfront. Visit the Tabarca Island. It is the smallest permanently inhabited islet in Spain and now known for its marine reserve. Alicante is full of ancient pieces of Architects and Monuments that are surely a fascinating so if you are planning a holiday to enjoy some best sunny destinations, Alicante is a best place for you. Book your cheap flight to Alicante now with Dream World Travel. 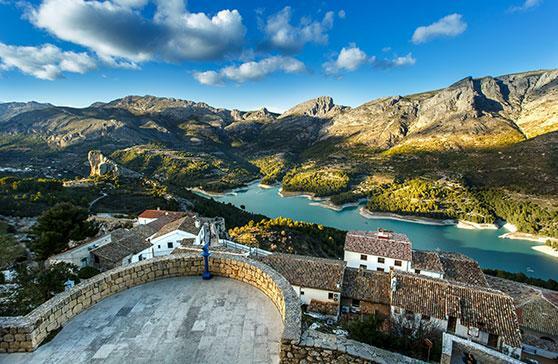 Castle of Santa Barbara: Visit the Castle of Santa Barbara on the top of Mount Benacantil, one of the largest medieval fortresses of Spain is there. You can also enjoy an amazing view of town and harbour, walk through the narrow winding streets or if not than use an elevator in the core of Mount Benacantil. Castillo de San Fernando: With cheap flights to Alicante, visit Castillo de San Fernando, a must see spot and a place to rest and leisure. You will find a number of other interesting attractions and monuments on the way up. Costa Blanca: You can enjoy cultural and traditional attractions on Costa Blanca along with the sunny location Lucentum which is known as the place of light by ancient Romans. Tabarca Island: Visit the Tabarca Island, the smallest permanently inhabited islet in Spain and now known for its marine reserve. Archaeological Museum: Visit the archaeological Museum; in 2004 this museum won the European Museum of the Year Award. It houses eight galleries and allows visitors to interact with the lives of past residents of the region by using multimedia. 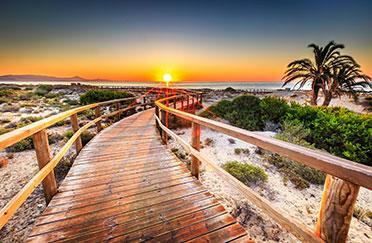 Postiguet Beach: The Beaches are surely the reason tourists wish to visit Alicante. So you can’t leave Alicante without visiting its Postiguet Beach. It is popular during the day and busy during the evening, Illuminated by street lights. The Archaeological museum in Alicante won the European Museum of the Year Award In 2004. Spanish and Valenciano languages are spoken in Alicante. The city was ranked the second largest Valencian city because the population of the city was estimated 328,648 as of 2015. The Museum of Contemporary Art houses one of Spain’s most important contemporary art collections.